This grid is a bit smaller than my sink, but is well made and still does the job. I would recommend this to a friend. 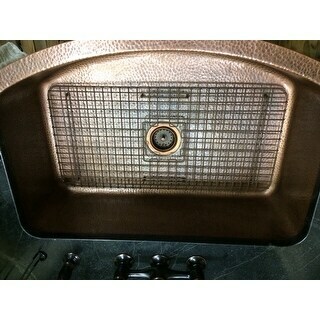 Customize your Angelico copper kitchen sink with the Rohe bottom grid. Designed to fit and look beautiful with the Angelico single bowl drop-in sink. Our kitchen sink grids will protect your sinks luxurious living finish and also protect fragile dishes. Sinkology bottom grids are handmade with heavy gauge steel and vinyl coated with an antique brown color designed to coordinate beautifully with our antique copper sinks. Dishwasher safe and protected by a lifetime warranty. Dimensions 29.0 In. X 6.0 In. X 2.0 In. I am so glad I purchased the Rohe sink grid for my new Ernst Sinkology sink. With a copper colored, heavy coated finish, it is beautiful and functional. I did not want to have dishes sitting for any extended time on the copper bottom so this was perfect. My sink is larger than the grid and has a bowed apron front but I feel this is still a good fit. It leaves about an inch gap around three sides and a bit more in the front. I would not want to use the sink without it. 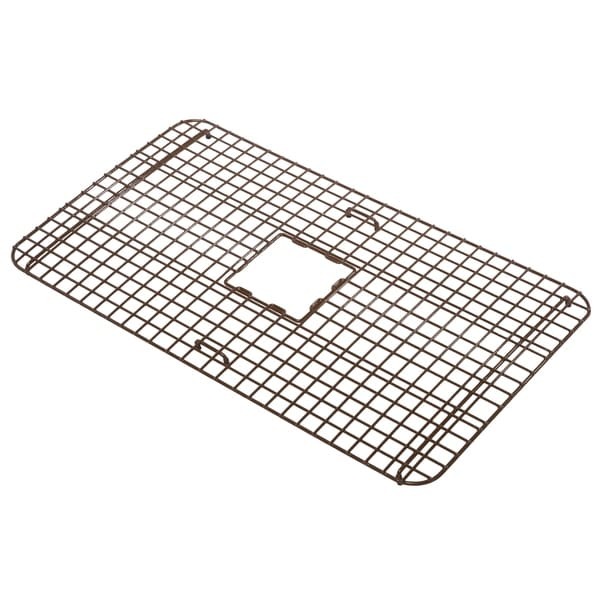 This grid looks perfect in my copper sink & will protect it! The best advice I have is purchase the grid when you purchase your sink, the finish is very delicate and it is very easy to mess it up. 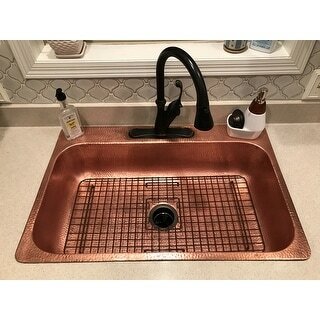 The copper sink grid matches perfectly and fits perfectly also!! Well worth the money to protect the sink!!! It looks fantastic and also protects my copper sink efficiently. I love it! Perfect fit for my new hammered cooper sink and rubbed bronze faucet! The color absolutely compliments the sink without it being a distraction like my previous chrome one. This is a MUST buy to protect your investment. Delivery was on time. Perfect size and as expected. Item has a rubber coating and am confident that this will save the integrity of my sink when guests may inadvertently put items in the sink that could leave stains. This is really good quality for the money, great value. Fits perfectly in my sink, easy to keep clean, great for cleaning fruits and vegetables. Should match beautifully with my copper sink! "Will this grid fit the O'Keefe under mount sink??"